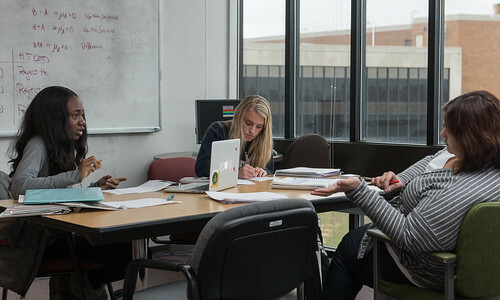 UIS students prepare for exams and finish final papers with the help of The Learning Hub. The Learning Hub offers year-round help in subjects such as math, writing, chemistry, biology and accounting. Students can make an appointment with a tutor or utilize the walk-in help at both The Learning Hub and the Student Union.